Happy Thursday, lovelies! We are so thrilled that last week's Three-fer Thursday post had the most link ups yet, which definitely made our job of choosing only three to feature very difficult! As always, thank you to those who linked up. We are excited to see what you have in store for us this week! 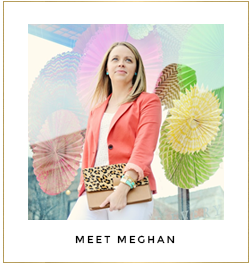 So, get linked up and go meet some new blog buddies! Elizabeth of Book of Leisure is rocking her striped pants paired with an adorable elephant top! We love her flawless edgy look! 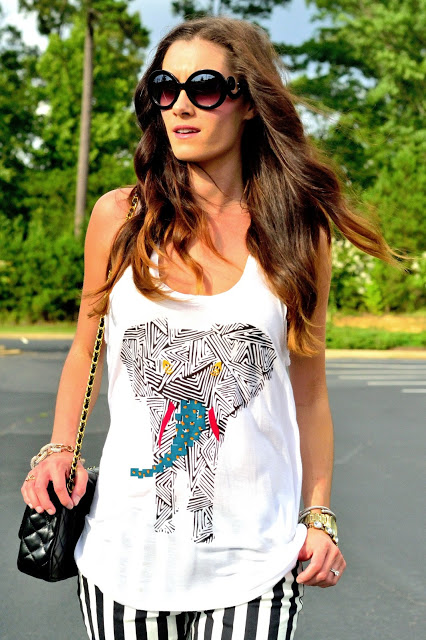 Kate of Kate Styled Pretty looks adorable in her thrifted tribal print tank. And those heels are to die for! Kihana of A Beautiful Life paired solids for a comfy and easy to wear summer look! Who doesn't love pink and navy? We know we do!